The Willard Act (1865) authorized the creation of the Willard Asylum for the Insane that would provide a safe permanent home for the pauper chronic insane ( incurable) and to remove these unfortunates from the squalor and wretchedness of county poor houses. I grew up not far from Willard. The asylum was open, but only whispered about. It was said; “Once you went to Willard, you never left. If you did leave, you left in a box.” I grew up hearing the horror stories about the crazies, lobotomys and straight-jackets. becomes more apparent. It has changed out lives…. In September of 2008 ,with the permission of the N.Y.S.D.O.C. we began our investigation. The first day was cool, foggy and threatened rain. 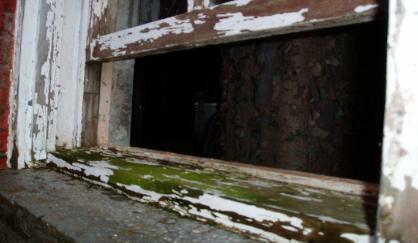 We drove toward a group of buildings that were decayed and abandoned, to take few background pictures…. Still Camera, Olympus Digital Still Camera. our attention. 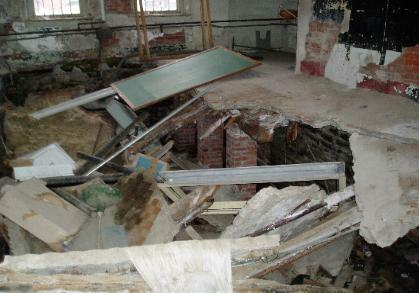 The crumbling walls of hand made brick had been slowly disintegrating since the asylum closed its doors in 1995. Somehow, the aura of pain, fear and suffering still permeates the grounds. 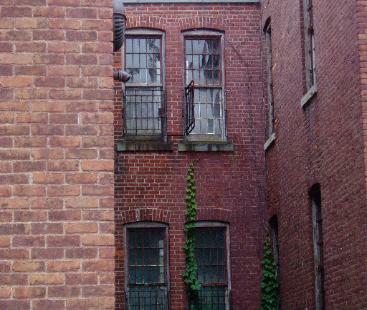 Due to the dangerous condition of the buildings we began our research in daylight. With recorders running, we used video and still photos to document the exterior. Although there was no power coming to the building, we took baseline EMF readings as we finished our first circuit of the building.On the second pass we used the KII meter and began our first EVP session. Please enjoy our EVP. Using good headphones and decreasing the base will enhance clarity. Maples. Later at the cottage, we checked the photos and video, but found no anomalies. As we listened we were surprised at the unusual number of very clear EVP we had captured. As we compared the KII spikes on video, they were found to coincide with many EVP responses we received in answer to our questions. We were shocked to find we had only spent two hours time at the site. We began the second day researching the history of the asylum in the local village archives. 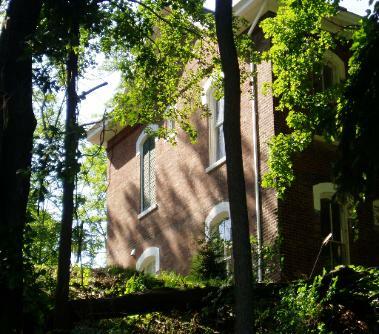 Dating back to the 1860’s, this little hamlet grew to support the asylum and it’s employees. Since 1869 the asylum was considered to be “a blessing to thousands of unfortunate – a refuge for the chronic insane and better care of the insane poor”. For over 100 years the asylum provided care for the inmates, not all of whom were insane. Session II investigation started in the early evening and continued past dark. Once again our results were exciting. We had recorded more very striking EVP, one of them was the same voice recorded the first day. Once again, the voices were active responses or comments on things we said or questions asked. 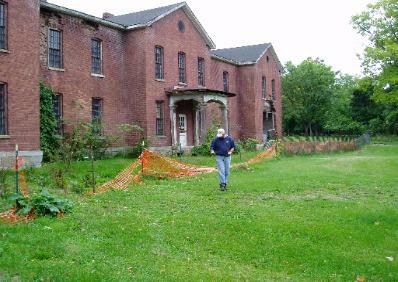 done here as the grounds are expansive.We received permission and continued our investigation in the Spring of 2009. 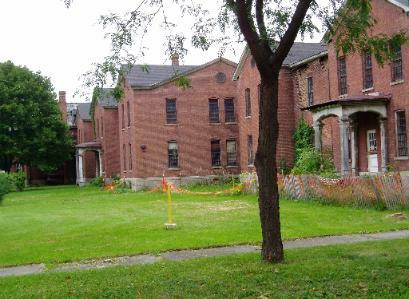 Port City Paranormal then spent the better part of a year researching the asylum campus and it’s many buildings. The history of this facility is well documented but there are many gaps and missing pieces. We will continue our research, to learn all we can before our next investigation. Detector with alarm, Nikon Digital Still Camera, Olympus Digital Still Camera.